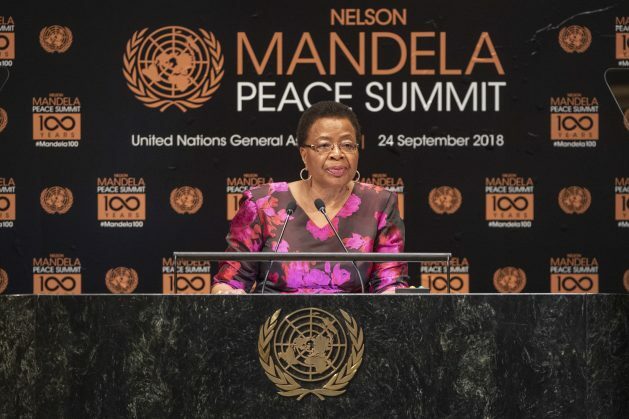 At the Nelson Mandela Peace Summit, aptly held in the year of the former South African leader’s 100th birthday, world leaders reflected on global peace and acknowledged that the international community is off-track as human rights continues to be under attack globally. 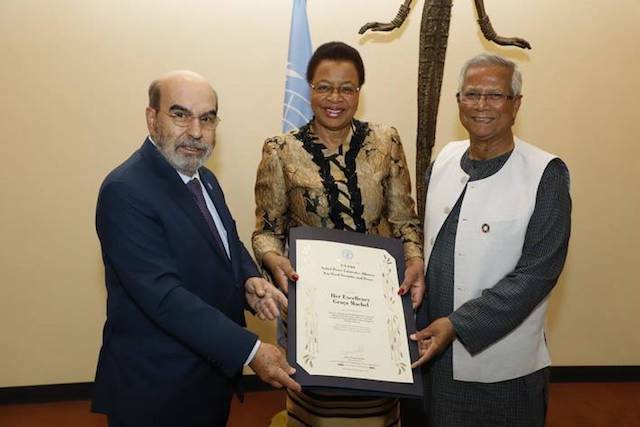 The Food and Agriculture Organisation of the U.N. awarded Machel an honorary membership of its Nobel Peace Laureates Alliance for Food Security and Peace in recognition of her late husband’s struggle for freedom and peace. “It is an honour for us to have her as a member of the Alliance. In a world where hunger continues to increase due to conflicts, her advocacy for peace will be very important,” FAO director general José Graziano da Silva said. The ICC should investigate Donald Trump and all of the military and leadership of the United States. The USA is the biggest obstacle to world peace.